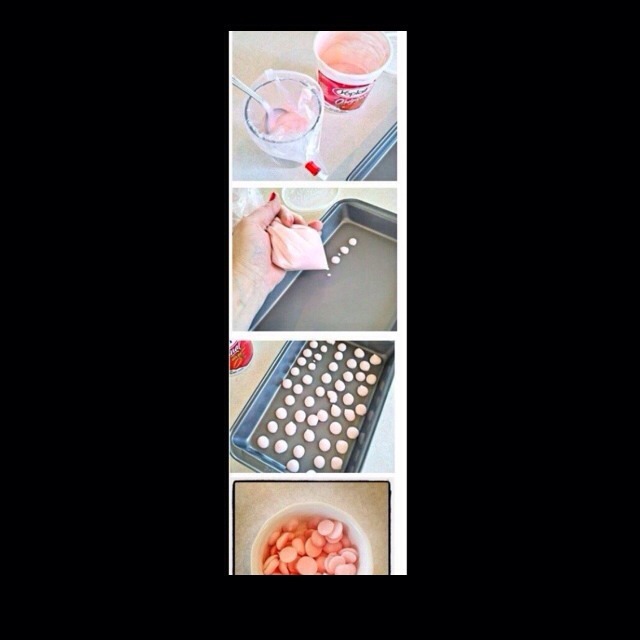 How To Make Frozen Yogurt Bites! Simply take yogurt (any flavor), put drops of yogurt on a cookie sheet. Put the sheet in the freezer for 1-4 hours. Now you have yogurt bites.